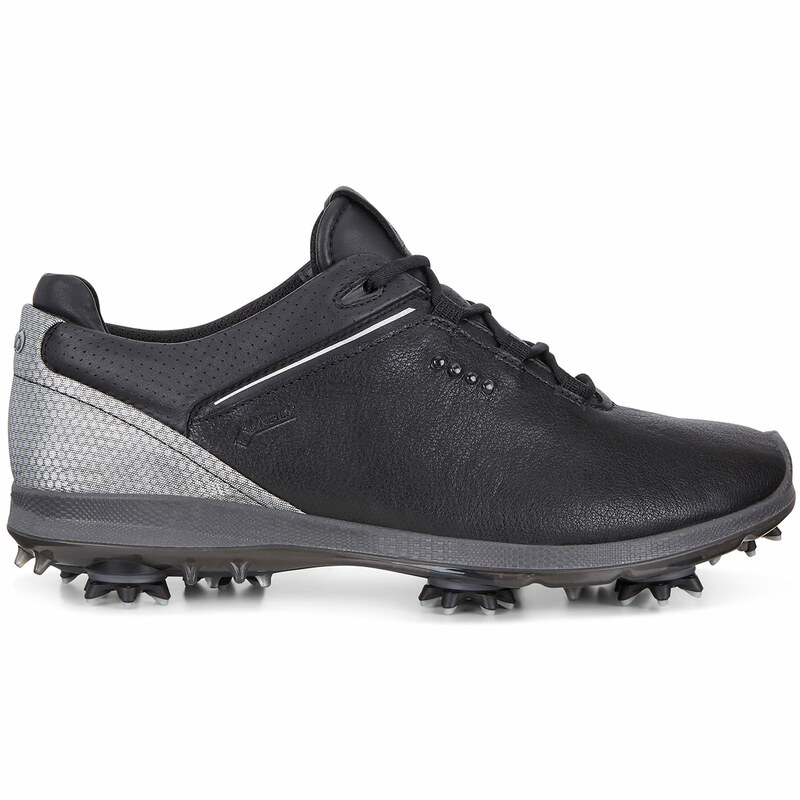 These premium ECCO shoes push the boundaries of comfort and performance, offering 100% waterproof protection, and the stability and traction of SLIM-Lok ZARMA-TOUR® spikes. ECCO Yak leather material allows for increased durability, thanks to it's extremely strong and lightweight design. 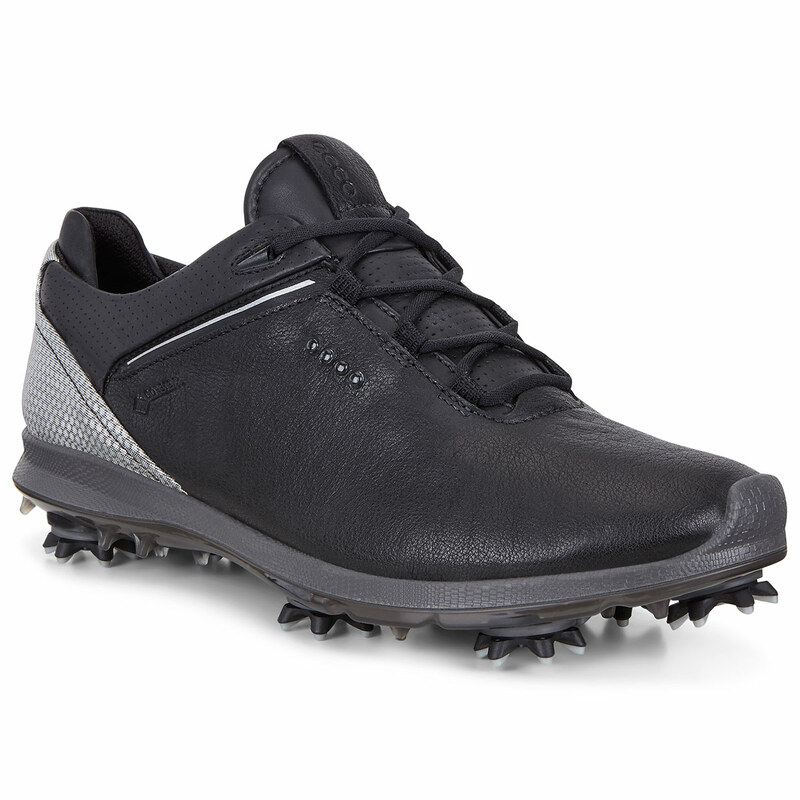 These shoes have been designed with longevity in mind so you can rest assured knowing that these impressive golf shoes will give you hours upon hours of game time without the risk of becoming damaged. GORE-TEX technology helps to keep your feet 100% dry and comfortable, with its unique waterproof advancements. You will be able to play your round of golf knowing that these fantastically designed shoes will help to keep you protected against the elements. 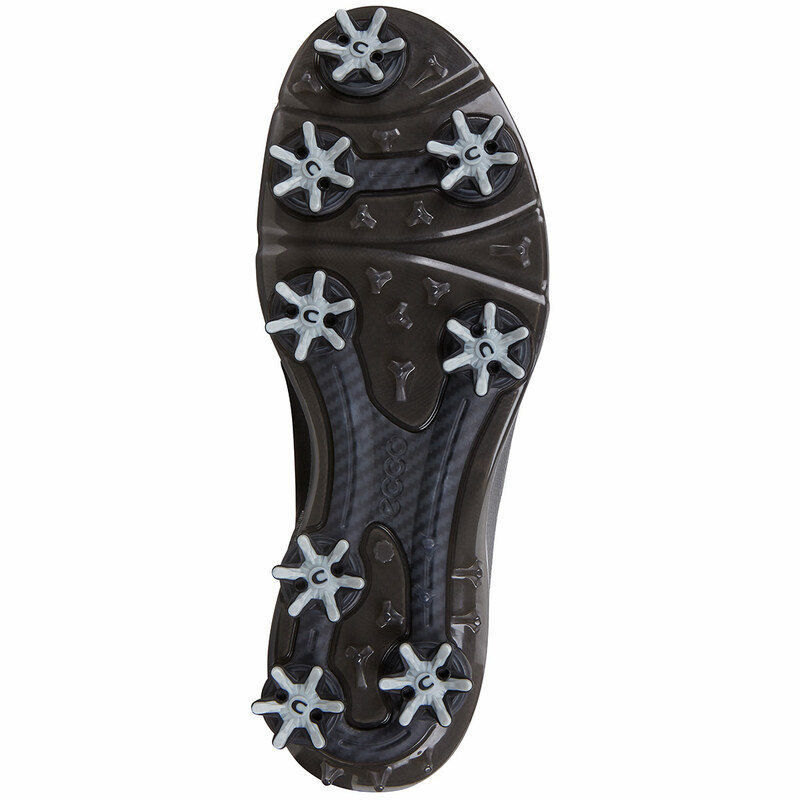 These sleek and stylish golf shoes feature one of the best tractional components ZARMA-TOUR® spikes, with rotational line on the toe and other hybrid elements to enable you to power through the golf swing with ease. NATURAL MOTION® technology mirrors the foot’s anatomical shape, while a snug heel setting combines with a roomier forefoot area to allow the foot to move more naturally. Plus come with an Ortholite® Foam inlay sole which can be removed and washed for long-term comfort.